Spirits are officially bright on our Classic Coast as we head into the holiday season filled with enchanting sights, family-friendly fun, a handful of classic Christmas events, and holiday happenings for nearly each day of December. Not to mention, tree lightings (and maybe a lighthouse lighting, too) all throughout town complete with sweet treats, live music, visits with Santa and perhaps some cozy cocktails. We told you, spirits: bright. Savor cookies and delight in carolers and Charlie Brown&apos;s Christmas at Hotel Viking as they light their Christmas tree. Visit with Santa afterwards. Head to Bowen&apos;s Wharf for an enchanting evening of caroling, Christmas whimsy and family fun on Saturday, December 1 for the annual Bowen&apos;s Wharf Christmas Tree Lighting. Visit with Frosty the Snowman, enjoy a carol sing-along, meander shops and galleries open before, enjoy sweet treats, visit with Santa and watch at the tree is lit for the season. Bristol&apos;s Tree Lighting and Grand Illumination heralds the arrival of the holidays in downtown Bristol with live music and entertainment, a Christmas sing-a-long, grand illumination of the town tree and more. 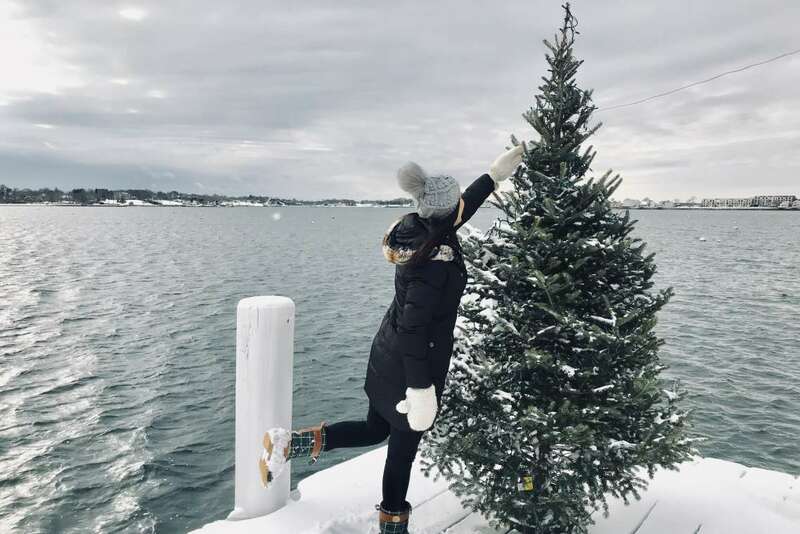 Head over to Gurney&apos;s as they light the historic Goat Island Lighthouse alongside carolers, spiked cider, live music at the resort’s Regent Cocktail Club and of course, undisturbed views of the famed Newport Bridge. Join Duris Studios on Small Business Saturday for their fourth annual tree lighting. Enjoy treats and hot mulled cider to keep things toasty. Browse the collections and get a jump on your holiday shopping. Tree lighting begins at dusk.